THE BRONX — If gushing fire hydrants and sizzling grills announce summer’s arrival to some New Yorkers, others hear it in the roar of dirt bikes tearing down the street. Residents of the Concourse area, Hunts Point, Harlem and other neighborhoods favored by dirt bike crews know that riders rush to the roads in the warm weather, often speeding, swerving and performing stunts on motorbikes that are not street legal. They also know that some riders, though technically at risk of arrest, zip freely past police officers who hesitate to engage in risky high-speed pursuits. 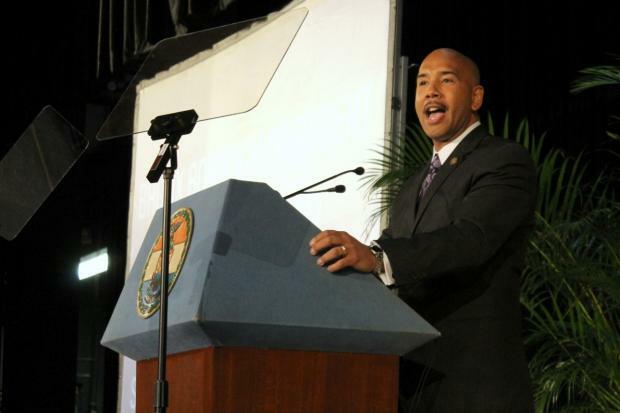 Now, as summer dirt bike riding surges, along with calls to crack down on it, Bronx Borough President Ruben Diaz Jr. has asked the Police Department to create “a plan of action” to address the issue. “While I understand the position that the NYPD has taken in not chasing bikes, as it creates a seriously dangerous situation, something must be done,” Diaz wrote in a letter to Police Commissioner Raymond Kelly dated June 14. Residents complain that some dirt bikers pop wheelies in the street, run red lights and jump curbs, endangering both drivers and pedestrians. They note that the bikes are not legally registered for street use and that many riders drive without helmets or insurance. Some say police, in their reluctance to chase the bikers, have limited their own ability to solve the problem. “Because the Police Department has taken a stance where they don’t want to pursue these dirt bikes, I can’t say there’s been an improvement,” said Rafael Salamanca Jr., district manager of Community Board 2, which covers Hunts Point. The NYPD's stance on chasing dirt bikers has gone back and forth over the past several years, with police alternately pursuing and saying that they are prevented from pursuing reckless riders. During a chase in Hunts Point last August, a police cruiser rammed a dirt bike from behind, killing the driver and injuring the passenger. In March, in Allerton, a dirt biker struck an elderly pedestrian during a high-speed police chase. “It’s a very sensitive issue,” Capt. Philip Rivera of the 41st Precinct in Hunts Point said this month when someone at a community meeting asked about the police response to dirt biking. While Rivera denied that police policy is to never pursue bikers, he said that officers must carefully weigh the risks before giving chase, since doing so may provoke riders to drive recklessly. Rivera also noted that police have other, less risky ways to curb illegal dirt biking. They can target the lots or buildings where unregistered bikes are stored and they can set up traffic checkpoints, Rivera said. For example, officers confiscated dozens of unregistered bikes at a checkpoint on the Bronx side of the Third Avenue Bridge on the day of the Puerto Rican Day Parade, according to Salamanca, the district manager. In his letter, Diaz cited checkpoints and targeting repair shops that service dirt bikes as strategies proposed by police. But, “this does not address the unsafe riding and the violations of traffic laws that all vehicles must follow,” Diaz added, requesting a new action plan. The NYPD did not respond to a request for comment Monday. Meanwhile, a group of dirt bikers met with police and other officials in Harlem earlier this month to discuss the riders’ call for a city-sanctioned space where they could ride their bikes safely and legally. As the officials described the legal and other challenges of creating such a park, a rider who goes by the street name Al Capone said a solution is needed now.